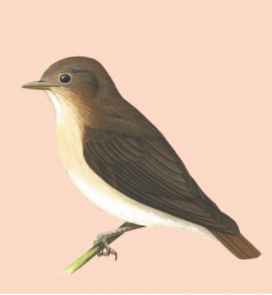 Physical characteristics: Little slaty flycatchers are small, only 5 inches (12.7 centimeters), with heavy bills and short tails. Males have slate gray heads, backs, and tails, with a white underside, a grey breast band and sides, brown wings, and pink feet. They also have white circles around their eyes that are exposed when they sing. Females have reddish brown heads and wings, with brighter color on their tails, and white undersides with a reddish wash on the breast and sides. They also have a buff ring around their eyes. 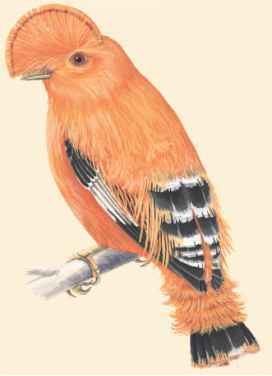 Geographic range: This species is native to the Philippines, occurring on the islands of Samar, Leyte, Dinagat, Basilan, and Mindanao. 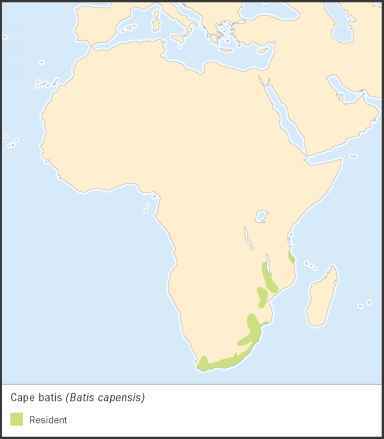 Habitat: Little slaty flycatchers live in the dense understory, the smaller trees in a forest, from sea level to 3,900 feet (1,200 meters). Sometimes, these birds can be found as high as 394 feet (120 meters) up in the trees. Diet: Little slaty flycatchers eat insects. Behavior and reproduction: The species has a high-pitched, three-note call with a beautiful, warbling song. Little slaty flycatchers are quite shy and are best found by listening to their song or call. Like other Old World flycatchers they build cup-shaped nests. Little slaty flycatchers live in permanent territories. Little slaty flycatchers and people: There is some economic potential for ecotourism for communities where little slaty flycatchers live.